Our line of retractable covers are designed with the DIY homeowner in mind. 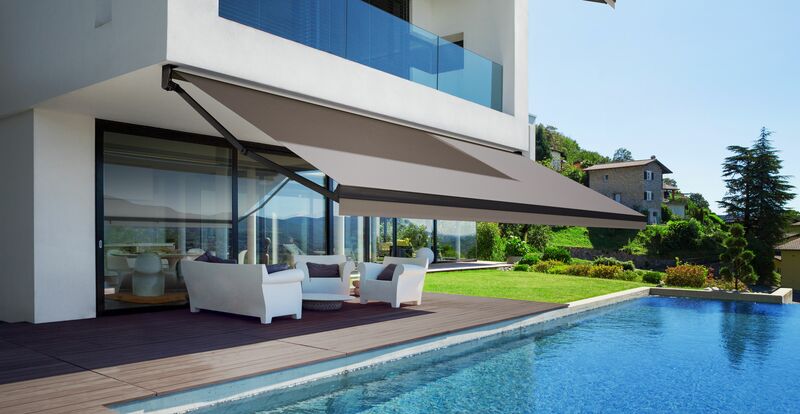 Made with the highest quality European internal parts and Canadian frames and fabric, these retractable awnings deliver style, function and durability. Choose between three different wall attached retractable awning models depending on your needs and budget. From traditional visual style awnings to sleek cassette awnings that provide a contemporary look while offering superior fabric protection. 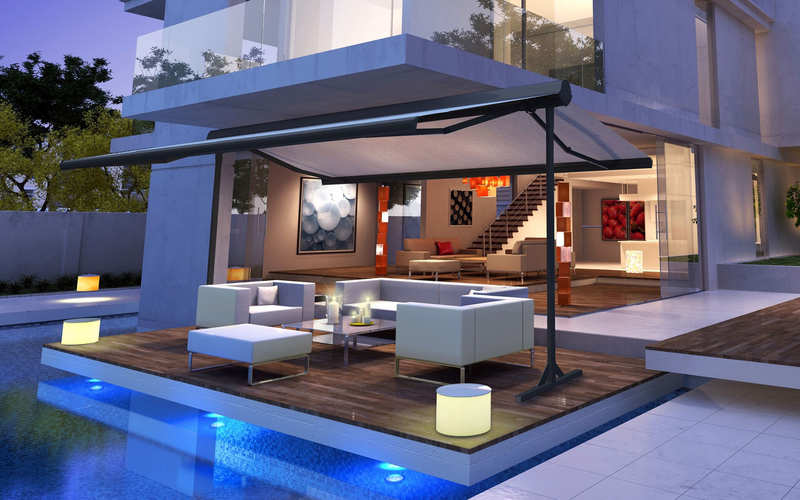 For situations where there is no option for wall mounting, the Azul freestanding retractable patio awning is an innovative new option. 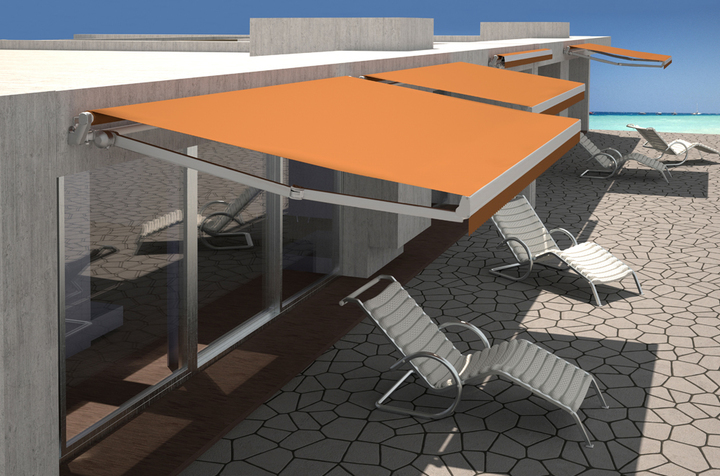 These quality retractable awnings provide the ultimate in exterior shade offering unmatched style and convenience. All four of our models come in a range of standard sizes and can be purchased with 100% waterproof vinyl or the high-quality marine weave acrylic fabrics. 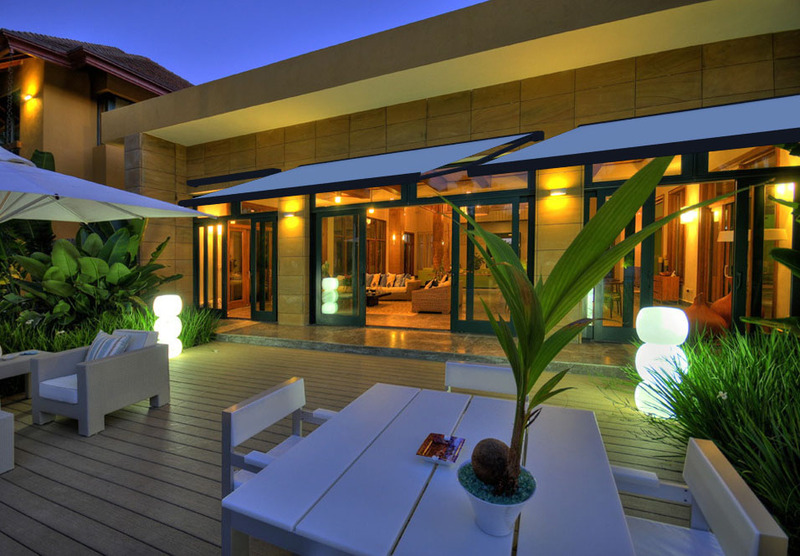 Choose between manual or motorized awnings to control light and shade with the turn of a crank or the touch of a button. Easy to install and ready for the DIYer or small task for any professional installer. Canadian Made, European designed high-quality retractable patio awning with traditional style and function. 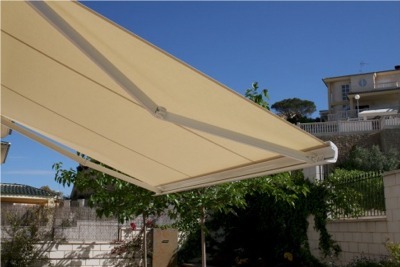 The awning includes adjustable pitch angle to efficiently maximize shade protection. 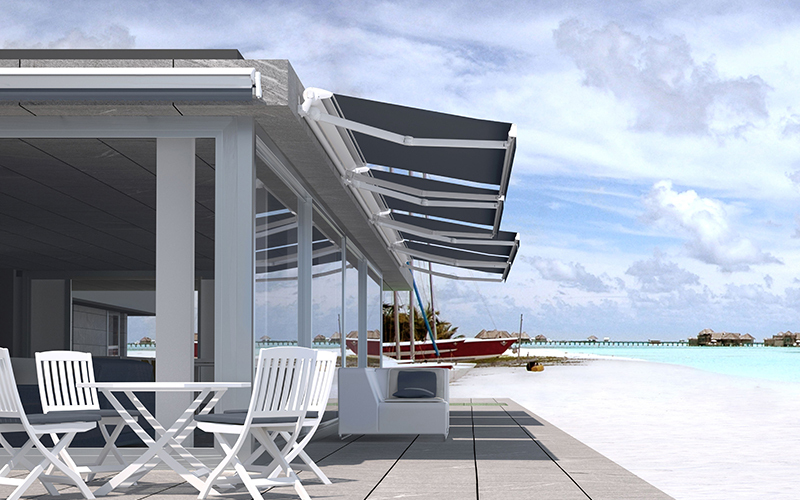 Combine with the optional solar mesh screen to provide protection from the setting sun. 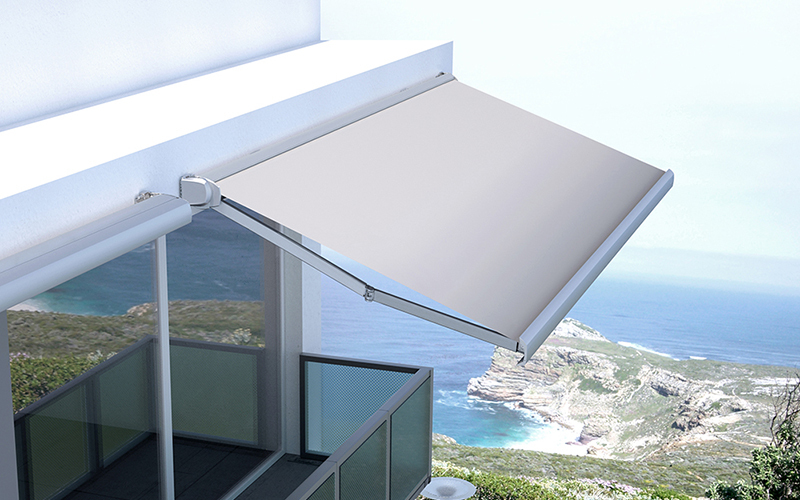 This semi-cassette retractable patio awning will guard your family and guests from harmful UV rays, while making your deck or patio as much as 11°C cooler. The integrated cover offers enhanced protection for the fabric when closed which can extend the serviceable life. The motorized awning option includes an upgraded Nice brand motor. Available in 24 beautiful acrylic fabrics and widths from 10 to 20 feet, with an optional mesh solar curtain that blocks the setting sun. The awnings projection is 10' 2" except for the 10' and 11' widths extending out to 8' 6". This premium retractable awning provides complete protection of the vinyl or acrylic awning when retracted into the fully integrated cassette. 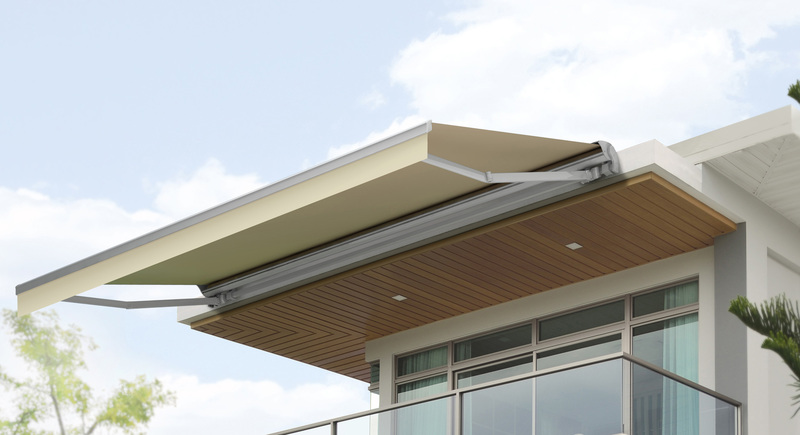 Made from extruded aluminum and water-repellent acrylic, your awning will offer a longer lasting durability while protecting your investment from the changing weather patterns of Canada. Its aluminum casing closes completely to protect your fabric and moveable parts from all weather elements, in winter as well as summer. 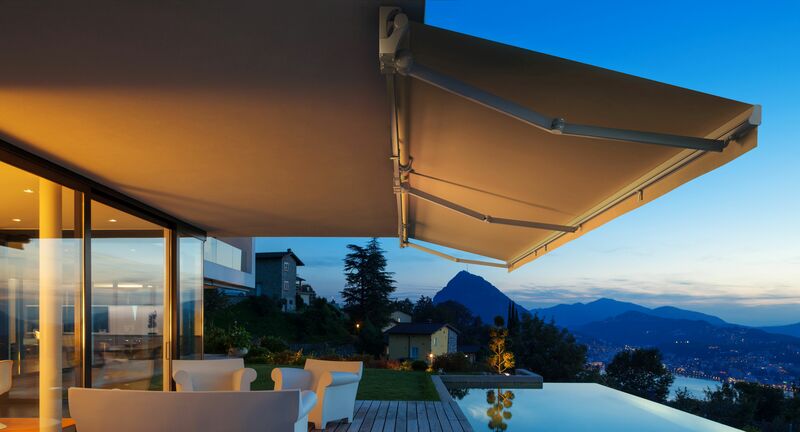 This innovative freestanding retractable awning offers shade on demand anywhere you need and does not require attachment to a wall like other options. Entertain family and friends on your lawn, safe from the hot sun and harmful UV rays…or celebrate with your friends at dusk! The Azul from the Brasilia family is a unique freestanding retractable awning for lawns, decks, poolside, or any location where you want beautiful shade and protection. European design and built for the Canadian climate, this product is sure to please. We carry over 100 different combinations of gazebos, awnings and patio covers in sizes and colors designed to fit most decks and patios. If you don't see it here, call us, we will be pleased to advise and assist.